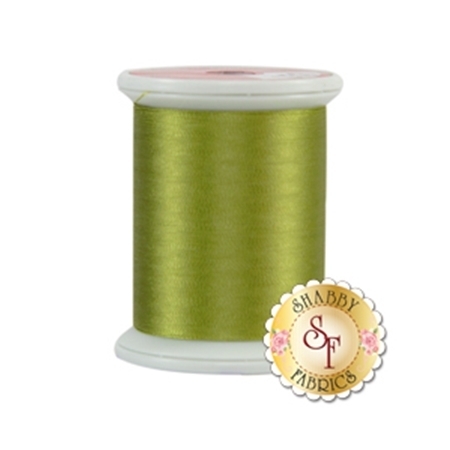 Kimono Silk Thread by Superior Threads is excellent quality silk thread for hand applique. Made from Japanese Silk, this is size #100 thread. Spool measures 220 yds/200 meters. Color 353 Wasabi. For live samples of all 80 colors, purchase the Color Charts.